We will now initialize a few environment variables that will come handy during the deployment process. The next step is to move the image to Azure Container Registry (ACR). ACR reduces network latency and eliminates ingress/egress charges by keeping the Docker registry in the same data centre as your deployments. It gives you local, network-close storage of the container images within the subscriptions and full control over access and image names. Verify the availability of ACR with the below command. You should find todoacr in the list. Let’s create an Azure Service Principal for authenticating against the container registry. This service will enable identity and access management to applications that need role based access to Azure resources. When you have a cloud-based application or script that needs to access resources, you can set up an identity for the app and authenticate the app with its own credentials. We will use Azure CLI to create the Service Principal for ACR. Ensure that you replace the placeholders with actual values of your Azure subscription ID, the Service Principal application ID, and Service Principal password. With the registry in place, let’s move the image into it. At the end of this step, you would have created an Azure Container Registry along with a Service Principal. The image from Docker Hub is also moved into the registry. Cosmos DB is a globally-distributed, web-scale, managed database on Azure. It is a multi-model database service with support for key-value, columnar, document, and graph models. The service exposes APIs in popular formats including DocumentDB, Azure Table, MongoDB, and the Gremlin API. Let’s create an Azure Cosmos DB in the same resource group that holds the other assets of the application. 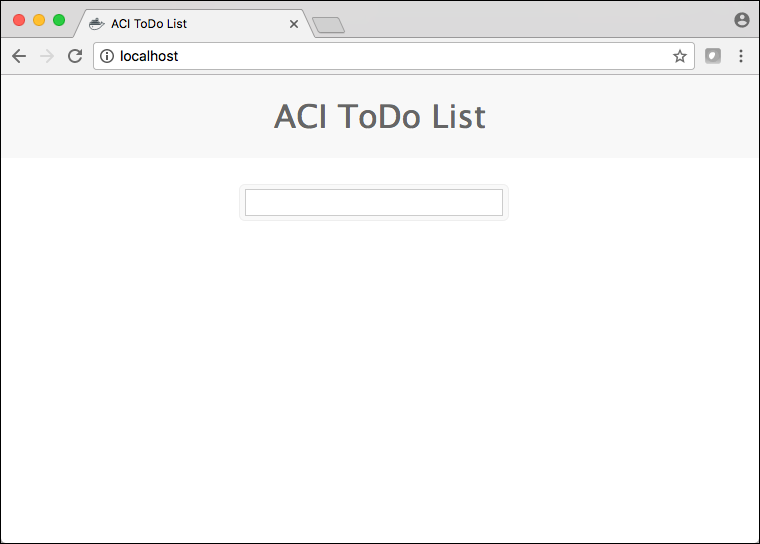 We will use this database to store the state of the ACI container. We now have the image available in ACR along with the Cosmos DB instance. The next step is to create the instance based on the image. The above command pulls the image from ACR by using the Service Principal credentials that we created earlier. It passes the Cosmos DB connection string as an environment variable to the Node.js application. It forces the application to listen on port 80. Finally, it assigns a public IP address accessible on port 80. Note : If you encounter an error in this step, switch to the creation of ACI through an Azure Resource Management (ARM) template. The current version of Azure CLI has a bug that doesn’t accept environment variables with special characters. The ARM template is available as a Gist on Github. Don’t forget to replace the variables with actual values obtained from the previous steps. Finally, check out the details of the ACI and the logs with the following commands. All the commands used in this tutorial are available as a Github Gist. 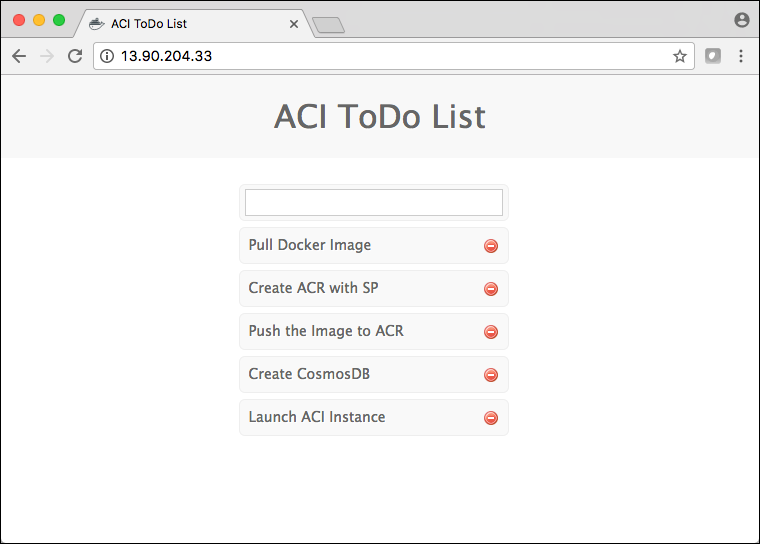 The objective of this tutorial is to demonstrate the usage of ACR, ACI, and Azure Cosmos DB. While you may need Azure Container Service (ACS) for orchestrating and managing multi-container workloads in production, ACI offers a simple mechanism to run stateless applications based on a single container. By taking advantage of Azure Storage and Azure CosmosDB, we can isolate the state into a durable and persistent service, which can be shared among multiple containers running within ACI and ACS. 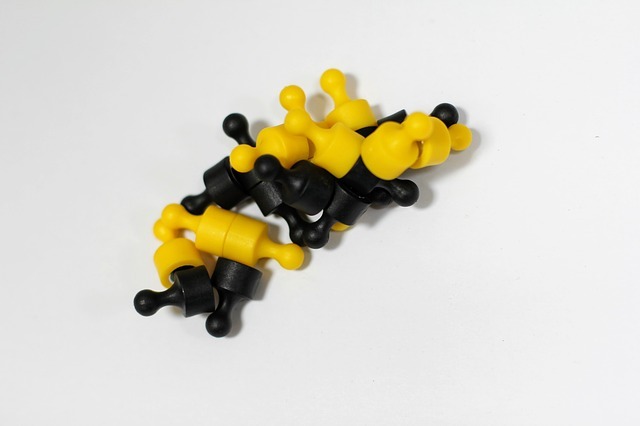 In the next part of this series, we will extend this use case to a multi-container deployment scenario utilizing the ACI Connector for Kubernetes. Stay tuned!